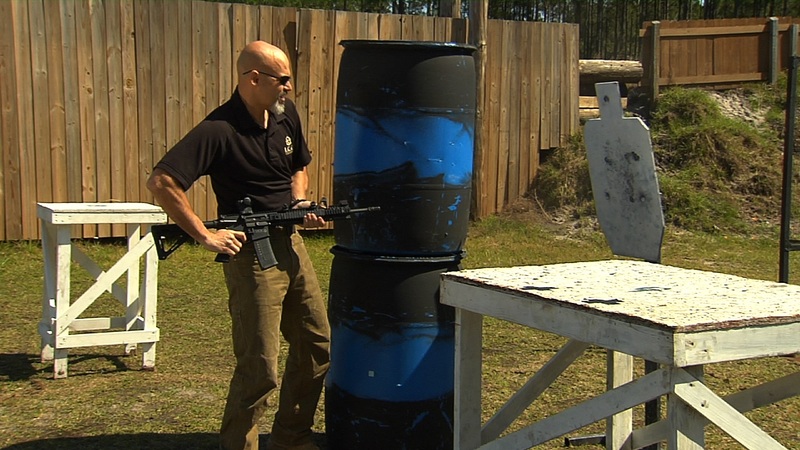 GET THE DEFENSIVE RIFLE TRAINING YOU SEEK FOR A VARIETY OF RIFLE PLATFORMS, ALL IN ONE PLACE. 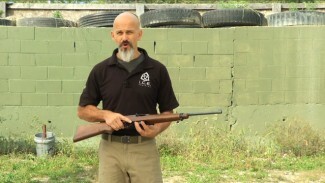 Training for the defensive use of rifles involves special consideration and instruction to address issues like caliber choice, training budget, set up options, storage and staging, and much more. 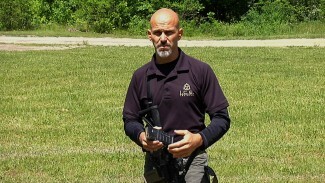 Here’s your chance to get convenient defensive rifle training and demonstrations for a range of rifle options. 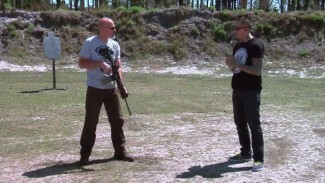 Rob Pincus demonstrates how to mount a Crimson Trace Railmaster Pro to a defensive rifle. 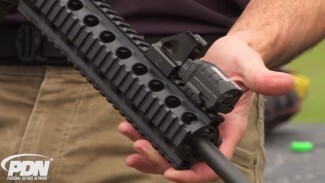 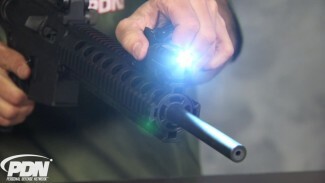 He covers not only how to mount this specific device, but where you might want to attach any light and/or laser device on your rifle and why some positions are better than others. 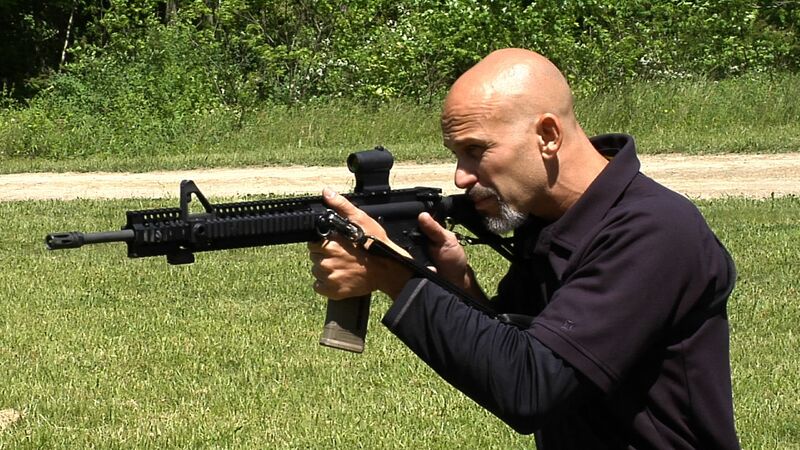 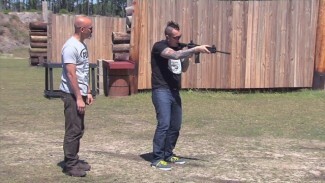 Mike Centola of Allstar Tactical runs Rob Pincus through a Defensive Rifle Facing Drill and talks about the difference between moving into the known and moving into the unknown as you orient towards your threat. 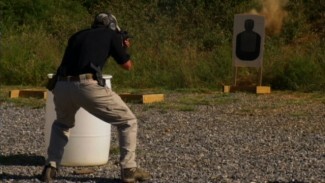 It is important to practice a variety of movements just prior to shooting, as you never know exactly where and when your threat will show up.